What's New at Mackie Physiotherapy? Tyler Van Impe-Selinger, B.Sc. (Kin), M.P.T., B.D.N. ​Born and raised in beautiful Saskatoon, Saskatchewan, Tyler earned his Bachelor of Science in Kinesiology (Exercise & Sport Studies) with Great Distinction from the University of Saskatchewan in 2011. He then earned his Masters of Physical Therapy in 2014. 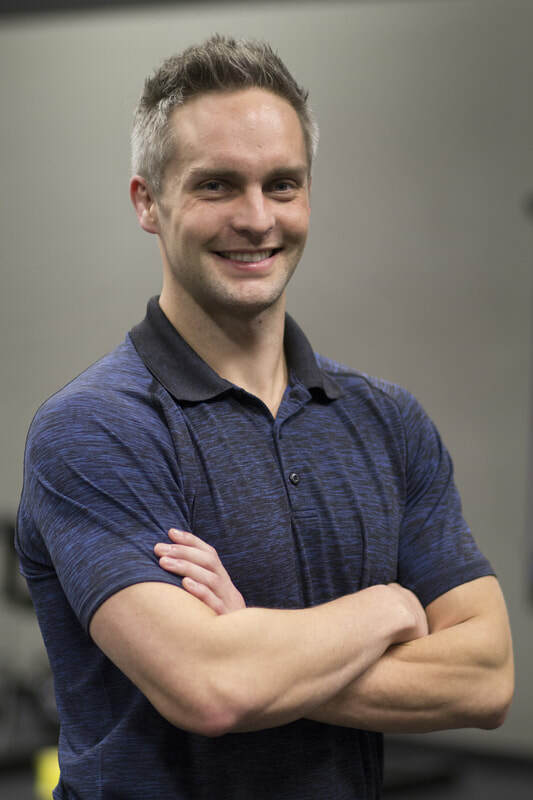 Under the mentorship of Blaine Mackie, and with an unquenchable thirst for knowledge, Tyler has evolved in his practice and embodies the Mackie philosophy of high-level manual therapy integrated with lifelong strength. Tyler maintains a holistic and patient-centered focus of care, and aims to empower his patients with the skills and knowledge necessary to heal effectively. Tyler has a lifelong passion for sports and has been integral in developing the Mackie Physiotherapy Sport Division. The Sport Division has created lasting partnerships with major athletic organizations and teams throughout Saskatoon such as Marian Gymnastics, CrossFit BRIO, U of S Barbell and Grip-It Climbing. This division of our clinic continues to deliver educational seminars, sideline event coverage, injury prevention and maintenance programs, and specific therapeutic protocols based on the needs of specific organizations and their athletes. We are especially proud of the work we have done to help with the success of local gymnastics, CrossFit, powerlifting, and soccer athletes. Tyler is certified in Biomedical Dry Needling (BDN), McKenzie Spinal Treatment (MDT), Functional Movement Systems (FMS), and is a Sport First Responder. He has taken courses in Diane Lee’s Integrated Systems Model and is progressing towards an Orthopaedic Division Diploma in Manual and Manipulative Physiotherapy. Tyler loves animals, lifting heavy things, reading in the sunshine, and football. We are open from 6:30 AM - 6:30 PM Monday to Friday.